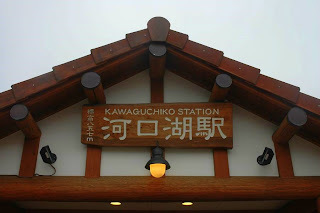 The next day after being interviewed by the Spanish television, Maria and I took a train with direction to Shizuoka city (静岡市) using a Juu-Hachi-Kippu ticket again. 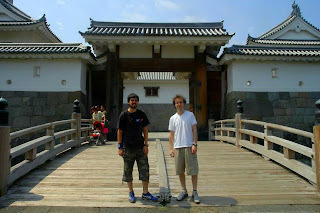 When we arrived to Shizuoka we met my Spanish friend Raul, whom you may already know from my trip to Hamamatsu. He dedicates part of his time to maintain his blog. 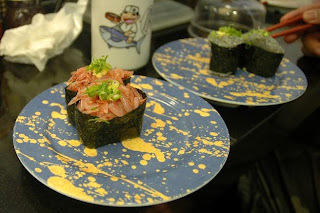 We had lunch in a Sushi restaurant in the train station. There we tasted a local specialty called Sakura Ebi (cherry blossom shrimp). Raul also took us to see a market with lots of fresh fish and seafood. 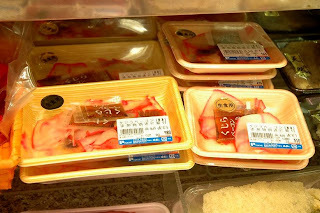 In this market you could buy whale　meat (クジラ) as you can see in the picture. Raul also told us that sometimes you can also buy dolphin meat. 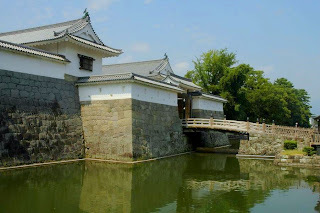 We were going to stay just for a couple of hours in Shizuoka so we went for a short walk and visited the Sunpu Castle (駿府城). 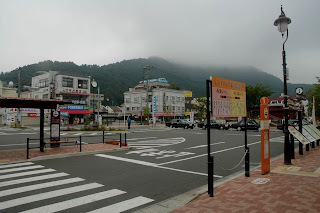 After this short visit to Shizuoka we took a train to Gotemba and then a bus until Kawaguchiko (河口湖) which is a famous place to stay if you want to climb or have good views of Mount Fuji. 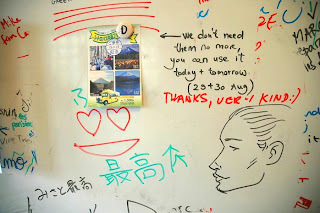 We spent the night in a nice hostel near the station. 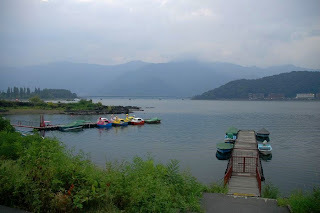 Unfortunately it was too cloudy to see Fuji even from such a short distance and we could juar enjoy the views of a nearby lake that gives name to the town. Note: the pictures of this post are copyrighted by Maria.